“Yohan and I are training partners, friends and we still joke around, but London 2012 is going to be very interesting. 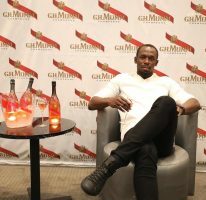 I want to defend my titles and he wants to compete at the highest level – that makes the competition interesting,” warned Bolt. Bolt ended the season with a world leading 9.76 seconds over the 100 metres in Brussels after leaving Daegu with one less gold medal than expected. He won the 200 metres in 19.40 seconds and anchored the Jamaican 4 X 100 metres relay team to 37.04 seconds. The team was responsible for the only world record to the run at the Championship. 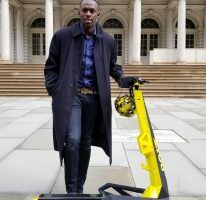 Bolt is currently on a break, but is busy with sponsor commitments. 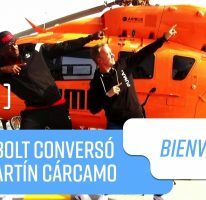 Bolt just ended a quick tour of the French West Indies islands of Martinique and Guadeloupe and will now go off to Los Angeles for the next couple of days where he will do media tours and clinics. Training for the London 2012 Summer Olympic Games resumes in October.